Birds, bears, buttercups and ticks – our region’s perennial signs of spring are out and about, along with a lot of people recovering from cabin fever. While fly fishers are scouting for the skwala stonefly hatches on the Clark Fork and Bitterroot rivers, the first male grizzly bears have been reported out of their dens in Glacier National Park as early as March 19. Females with cubs tend to snooze a little longer before they emerge. 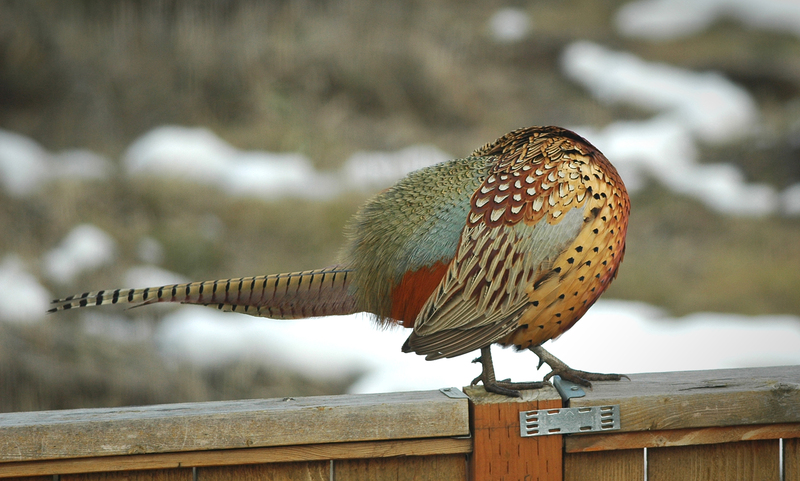 Turkey toms are starting to strut and male sharp-tailed grouse are beginning to dance to attract mates. The Washington Fish and Wildlife Department is taking advantage of sage grouse congregating on their leks by trapping a number of them in Oregon this week. The birds are being fitted with radio transmitters and quickly transported and released in Lincoln County. But the most widespread hint of the season is the burgeoning song, color and activity of spring migrant birds. Sprague Lake was still iced over and the skies above it were largely lifeless two weeks ago. On Monday, however, tree swallows by the hundreds were swarming for midges hatching out of the cold waters while red-winged blackbirds, the males with brilliant name-sake patches, spread the thrill of their trill through the shoreline tules. Local birders have been having a ball. Here are a few e-mail excerpts from the past 10 days. Among the 2,200 swans she counted that day at Lane Marsh, two wore collars with numbers she could read with a spotting scope. According to the U.S. Geological Survey Web site, the birds wearing collars U299 and U440 are from swans that breed at Kotzebue Sound in Alaska. Unfortunately, dead swans are often reported during migration from stop-over exposure to toxic mining waste sealed in Coeur d’Alene River sediments. A few days earlier, Terry Gray of Moscow reported “hundreds of snow buntings” on the back roads of Lincoln County, plus pintails flocking to flooded fields. She saw at least five snowy owls, which will soon be departing toward their arctic breeding areas.